Ups, sorry. I corrected it. It makes me even more afraid. My point is Olight know to build lights. Used a frosted optic to reduce rings and they still got a green ring. Honestly, I’m just waiting for the finished product to decide if I will buy it or not. Right now I’m 50/50. So I’ll wait and see what the Team comes up with. No premature decisions. That clip is for me unusable, I have to replace it. I need a clip parallel to to the tube and it had to be straight not pointy. That’s interesting. I don’t think I’ve heard anyone express that preference before. Why does the clip need to be parallel to the body instead of slanted, with straight edges instead of getting narrower from base to tip? I need a clip parallel to to the tube and it had to be straight not pointy. Why does the clip need to be parallel to the body instead of slanted, with straight edges instead of getting narrower from base to tip? In his post, joechina mentioned attaching a magnet to the clip. I assume he wants the magnet and light parallel to each other for easily attaching to a ferrous surface. 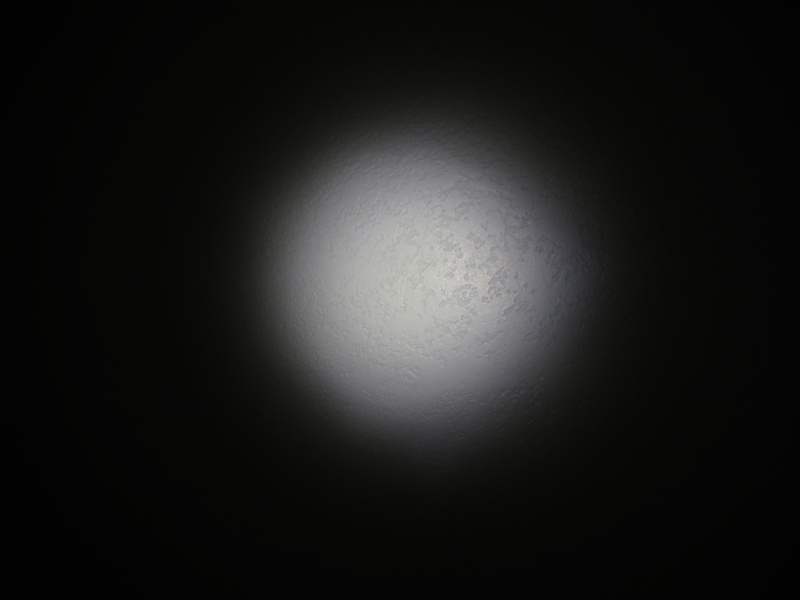 I use Armytek clips with magnets on my Zebralight headlamps. 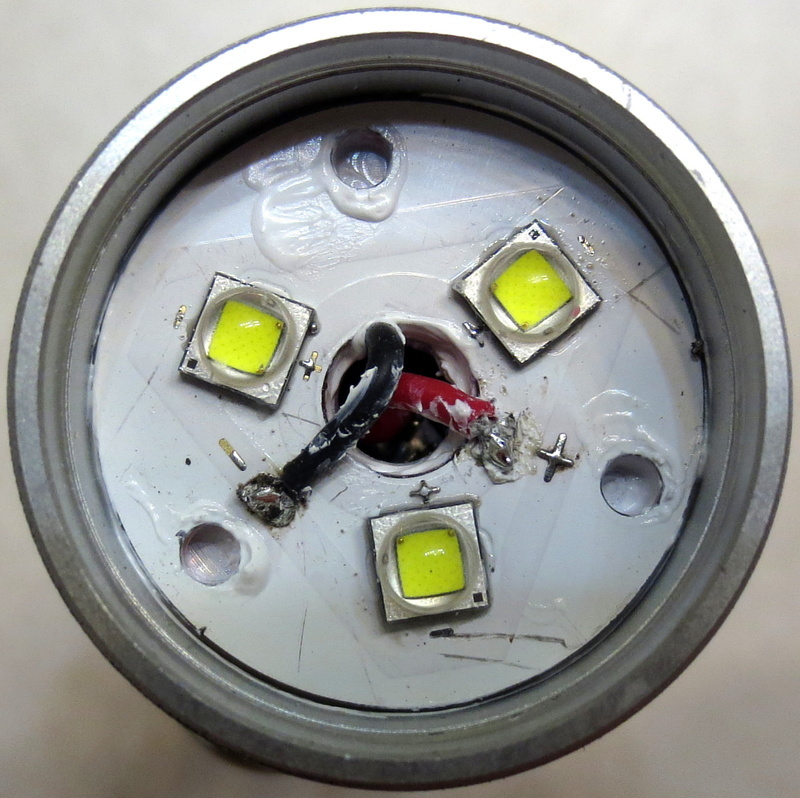 I guess it would sometimes be helpful on a flashlight too, but I grab a 90° light when I need a magnetic worklight. In fact, I use Armytek clips on lots of lights. FWIW, I really like the styling of the FW3A and its clip. I have recently come to appreciate ‘captive’ pocket clips after installing the Solarforce L2 clips on my Emisars, as suggested by TK. 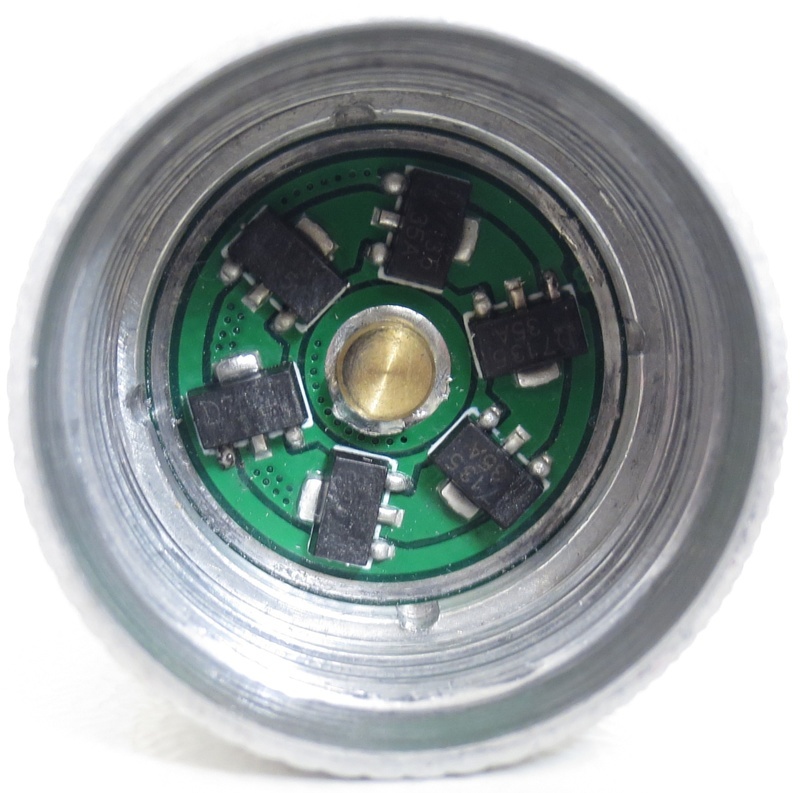 Depending on the FW3A’s tube diameter, maybe joechina could swap a Solarforce L2 clip onto it? They are very square and parallel. I like all the changes shown in Toy Keepers post #1774 vs the OP picture. Both the clip and the body curve….but that is just my preference and opinion. That makes sense (about the clips). For a magnetic attachment, I generally put a magnet on a headlamp’s clip. This lets me aim the light at absolutely any angle since it rotates on two axes. I almost never use a magnet on non-angled lights though. The FW3A is far more cost effective at 1/2 the price of the D4. So now the FW3A is going to be $20? Brian was probably quoting the price of the xpl version of the D4 which is about $58. Yes, a right angled light is even more usefull with a magnetic clip. But it can also be handy on a straight lamp. I carry my EDC lamps in the same pocket as my swiss army knife. Without a magnet they rub against eachother. With the magnet they snap together, no rubbing and they stay pretty. My Skilhunt H03 is for a half year daily in the same pocket with the knife and looks new. Yes, the FW3A clip locks nice, but I don’t think the magnet will stay on. And no magnet no EDC (for me). Please add me to the list as well. Hope miller is alright. "Yes, I'm a custom knife maker who is afraid of the dark..."
Please put me on the list for 1. Thanks. Please add me to the list. Thanks! Please add me to the list too. I created an account here just for the F3WA. I’m curious why XP-G3 is used instead of XP-L2? 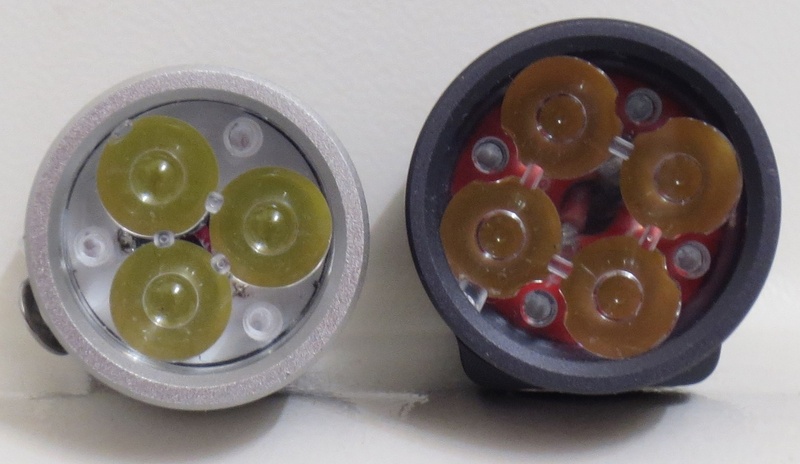 Is there a chance the more efficient XP-L2 V6 bin will be used or nichia 219c? Looks like I’m the first one to get a prototype. Here are some images and early observations about it. Note: This is only a first prototype. The FW3A is still in development, and all issues mentioned here should be fixed before release. 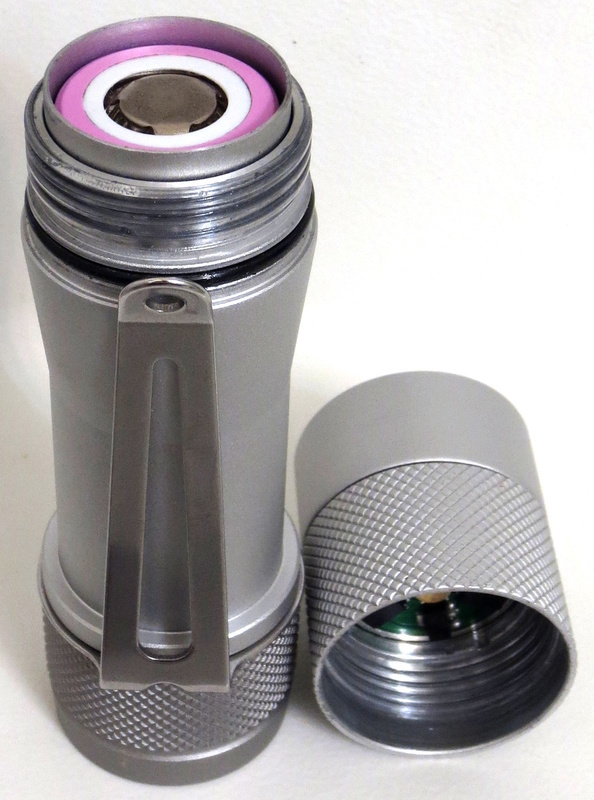 The prototype appears to use new host parts designed for this light, but some of the components are probably just whatever Lumintop had laying around. For example, it has cool white XP-G2 emitters instead of neutral white XP-G3, and the driver’s 7135 chips are the wrong brand. These things are not cause for concern. The host looks and feels really good. Will probably become my new EDC. 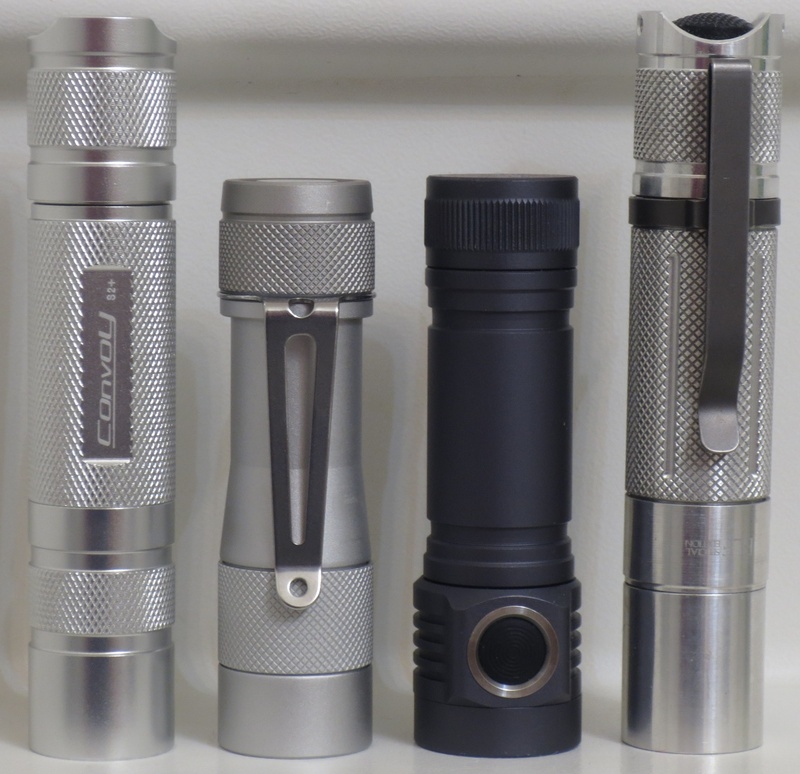 The FW3A is slightly smaller and significantly lighter than an Emisar D4. Should be easier to carry. The clip feels good and seems to work well. The clip does not rotate, despite appearing loose in an earlier pic. It seems to be sandwiched between the ledge and an O-ring. Physical design overall is very nice. The driver and firmware work together, despite having never been tested on hardware before. Sometimes when I put a battery in and tighten the host, it acts like the button is held down. May require small adjustments to the switch tube or contact ring to make sure this doesn’t happen. The button is very jittery. It’s hard to get the intended number of presses. This can be fixed in firmware. 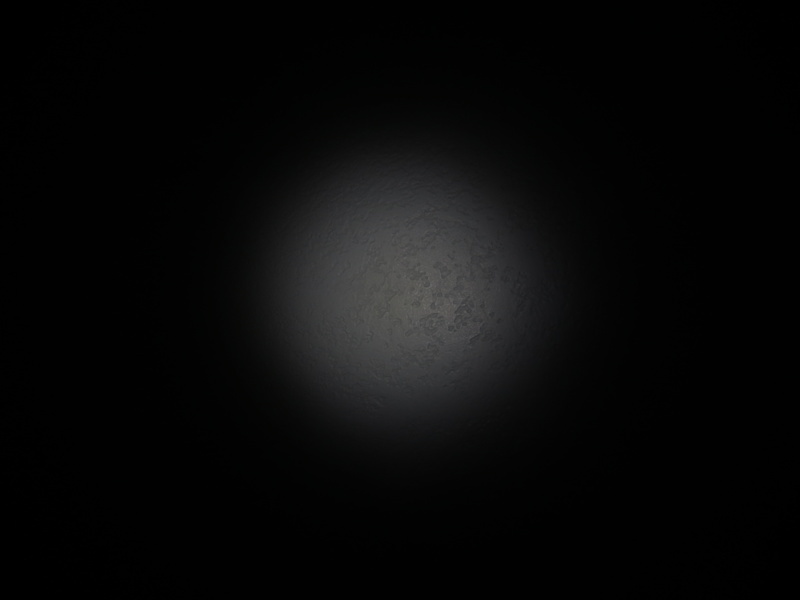 Moon mode is visibly unstable, which is odd and unexpected. Might be fixable in firmware, but might just be a side effect of the prototype having the wrong brand of 7135 chips. 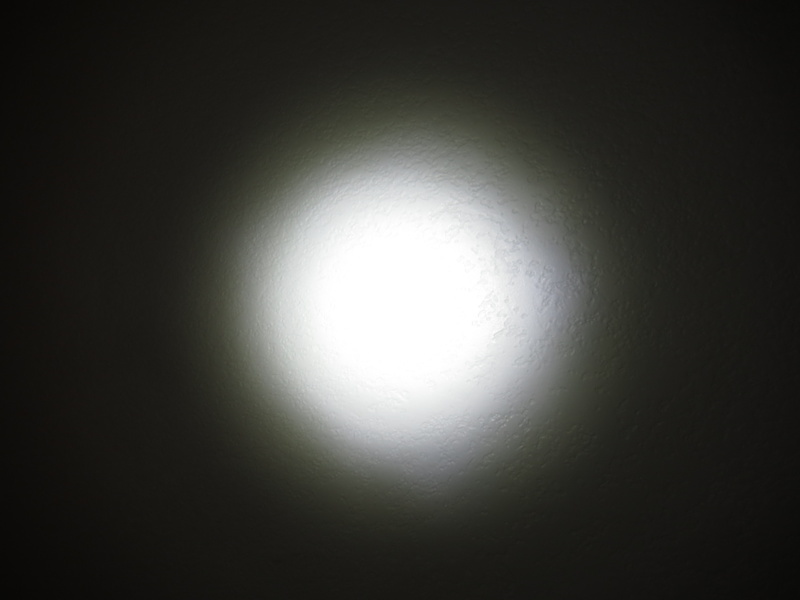 The beam has corona artifacts, normal for the 10507 optic. Can be fixed with 10511 optic. The XP-G2 beam has a bit of a green ring. Can be fixed with XP-L HI or Nichia 219c emitters. The button is very slightly loose and its click is a bit louder than most e-switches. Tail section ano doesn’t match the rest of the host. 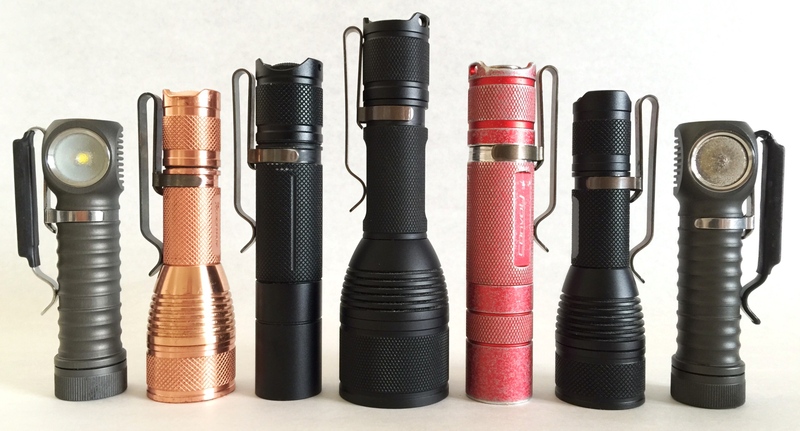 Lumintop was experimenting with different methods. Due to the limited thermal mass, the FW3A isn’t going to be able to sustain high output for very long. The D4 has difficulty and it has significantly more mass. The FW3A is comfortable and practical due to it’s light weight and smooth shape, but it’s not made for extended use on turbo. It should be able to do ~3000 lumens, but I expect the sustainable level will be a few hundred lumens. The entire tail section seems like it’s glued together. My clip appears to be slightly bent. The clip could be a bit stiffer. Emitter wires may be a little thin. Might be a good thing though, to reduce maximum power (and heat) a little. Firmware on my prototype is a beta version of Anduril. Basic use is mostly the same as NarsilM, but it has a few extras. Unstable moon mode (if it’s a firmware issue). Discrete ramp mode acting a little weird, not sure why. Misc small firmware details, like perhaps using 8×7135 for strobe instead of the FET. Etc. That’s all for now. The FW3A is real, and is making good progress, but there are still things left to do. From what you said some things are of more “concern” to me, like the button and the noise, and the capacity of heat absorption. But, due to the design and to keep it “small”, this has to be a light for really short turbo boost! BTW, I hope The Miller is ok! Nice report! I’m still very much looking forward to having a few of these lights. The size is wonderful and wish more manufacturers would make them this short. I think that’s why I like my Zebralights so much. A single emitter one would be a hit with me as well due to the small size for an 18650-powered light. As for the power, it’s nice to have lots on tap, but I’m very happy with the middle settings of my Convoy S2+ and Astrolux S1. 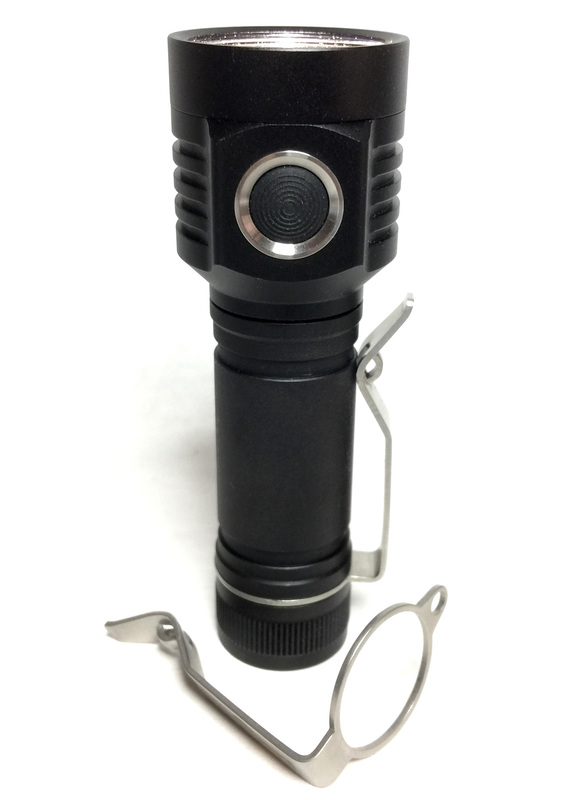 It’s fun to crank up my D4 to impress others, but I think that this light will still be popular for having a great size, extra light when you need it and ramping to allow anyone to adjust to their heart’s content. Oh, and a pocket clip! Looking forward to seeing changes and updates as they come. This thing really is small for an 18650 light. It’s shorter than some 1xAA lights I have, and even shorter (and lighter) than the Brass Beauty (though not as narrow). It brings good runtime and hotrod burst mode to a small form factor, with plenty of flexibility and extras. Once we get it finished, I think it’ll be a huge hit. Like! Thanks for the update. Just so I understand, is the inner tube around the battery electrically isolated from the body? Is this the circuit path that the E switch uses? What do you mean? What has changed?